The Islamic finance industry faces the same fundamental challenges and risks as that of conventional finance, including whether or not clients can fulfil their repayment obligations and when. However, recovery under Islamic finance principles is a significantly more sensitive undertaking and Islamic banks have to be very careful about how they approach the recovery process. Given the lack of precedent in such cases, effective documentation and a clear understanding of Shariah principles and other regulations is essential. 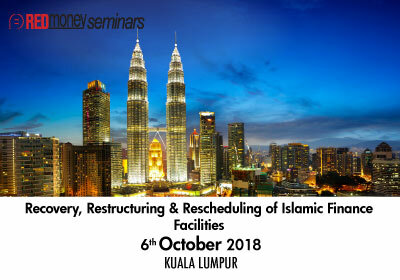 This intensive two-day program will provide delegates with a clear understanding of the key regulatory and Shariah issues surrounding the recovery of Islamic facilities as well as crucial legal, procedural and documentation issues to consider when defaults or problems occur. Real-life case studies will be used to examine important precedents and to develop delegates’ understandings of the application of these principles. 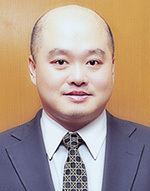 Johan is the managing partner of J. Lee & Associates, a medium-size award-winning legal firm in Malaysia. The firm is now a member of Primerus law, an international legal chambers group consisting of finest law firms worldwide. Primerus law is one of the top three biggest legal firm groups in the world. He graduated with LLB (Hons) degree from International Islamic University Malaysia. He also holds a Master of Comparative Laws degree, a post-graduate Diploma in Shariah and Legal Practice both of which from International Islamic University Malaysia, an MA in Economics for Competition Law from King’s Collage London and a Ph.D in Business and Commercial Law from Monash University Australia. He is currently a qualified member of the Chartered Institute of Arbitrators, UK as well as a mediator of the Malaysian Bar. He is an advocate and solicitor of the High Court of Malaya, the Shairah Court and the Supreme Court of Brunei. He lectures part-time in a few local law schools (namely IIUM for the LLM, Unisza and UM for the LLB programmes) and in the IiBF of IIUM for the MSc.in Islamic Banking programme. He also occasionally conducts in-house trainings to various Islamic banking institutions worldwide, governmental and semi-governmental institutions. He has lectured and provided training in the Institute Latihan Kehakiman (ILKAP) as well as Jabatan Kehakiman Syariah Malaysia (JKSM) for both civil courts and Shariah courts judges concerning Islamic banking. He has also trained the officers from BNM, and all local banks and few other central banks throughout the world on Islamic Banking. In 2006, he was a visiting scholar to the Asian Law Centre of the University of Washington. He is currently a shariah consultant to few governmental agencies as well as few government-funded banks. Besides, he was a member of the Board of Studies of the Institute of Islamic Banking and Finance, International Islamic University Malaysia for the 2010-2012 tenure. He was also a member of the Board of Studies of the Faculty of Law of University Malaya for the 2015-2017 tenure. He was in the syllabus endorsement committee in for the INCEIF, and the CIMA. He is recently accredited as a senior trainer of the IBFIM and a trainer of the Associations of Shariah Advisors (ASAS), Malaysian Institute of Accountants (MIA) and the Institute of Internal Auditors Malaysia (IIA). He was the committee of the law reform committee established by the Attorney General office. He has recently been awarded the prestigious award of Islamic Finance Expert by LEGALS FINEST International. He is now a member of the Shariah Advisory Council (SAC) of the Association of Islamic Banks Malaysia (AIBIM). Also, he is a consultant to few law firms and practices in Malaysia, Brunei, Singapore, Indonesia and the UK. He has drafted and developed numerous Islamic banking legal documents and products in Malaysia and overseas. He is a director of the IIUM Shariah Advisory Services Sdn. Bhd.